I've heard many times people saying that comfort can compromise style and I always disagree with that statement. 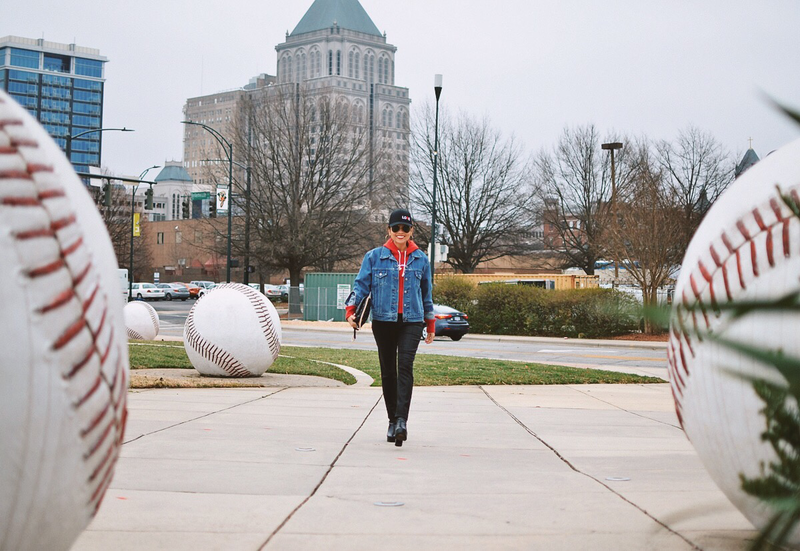 There are ways to bring a chic vibe, even the most casual combo such as a denim jacket over a hoodie (obsessed with it). For example, I could have worn this combo with a pair of sweats (very comfortable) but instead, I wore it with a cool pair coated jeans, which happen to look great with my platform boots. The coated jeans are made of cotton and stretch material, therefore, they're as comfortable as a pair of old sweats. Pullover hoodie: Champion. Sold out. 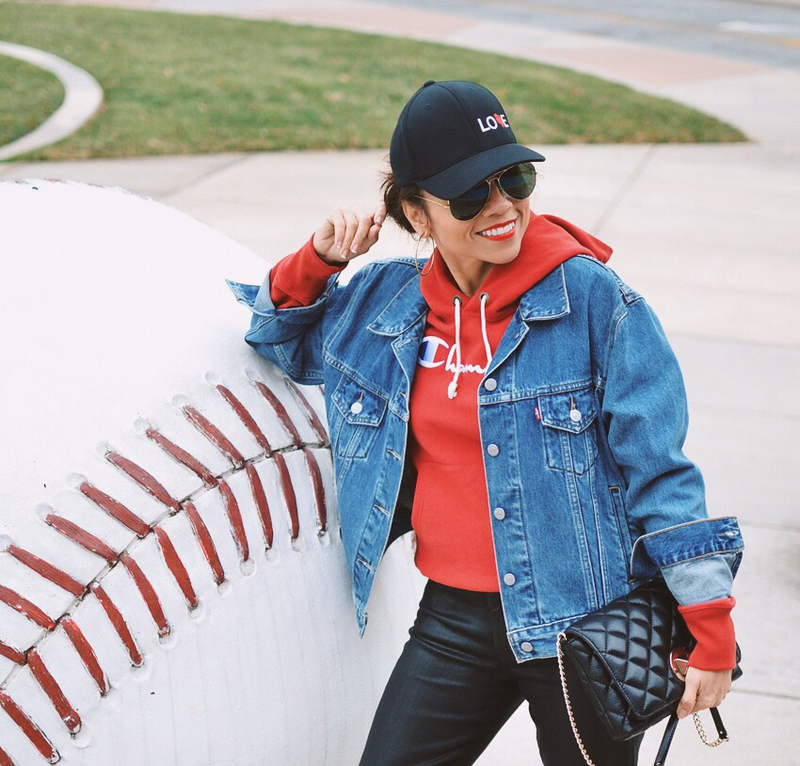 Similar/Denim jacket: Levi's (vintage) Gorgeous new style/Baseball hat: Michigan apparel. Similar/Coated jeans: Joe's jeans. Similar/Bag: Kate Spade. Similar/Platform boots: Kurt Geiger/Aviator sunglasses: Ray-Ban (62mm).